Without our Customers we wouldn’t exist so we value them very highly. Finding the perfect venue is all important to us. In a highly competitive world we seek to exceed our customers’ expectations, go the extra mile and provide the wow factor. Whether it be a one to one interview or a congress for thousands, the attention to detail will be the same. 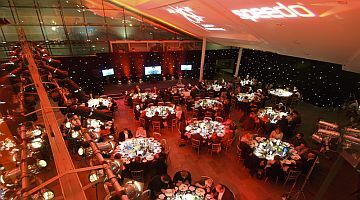 We understand that organising events is not the main role for most of our clients, they have lots of other core responsibilities so we endeavour to be an extension of their team. Let us take away the stress and time involved in sourcing venues and ensure that the event runs without a hitch. Successful, productive events, makes everyone more satisfied and profitable. See what our clients have to say in Testimonials. Not everyone is a born sales negotiator. Many feel uncomfortable doing this and therefore may not be getting the best deal for their own business. Let us do what we do best so you know you will save money and get the best deal possible from the venues you select to use. To name but a few. See our testimonials to learn more as to how we have helped make their events successful.